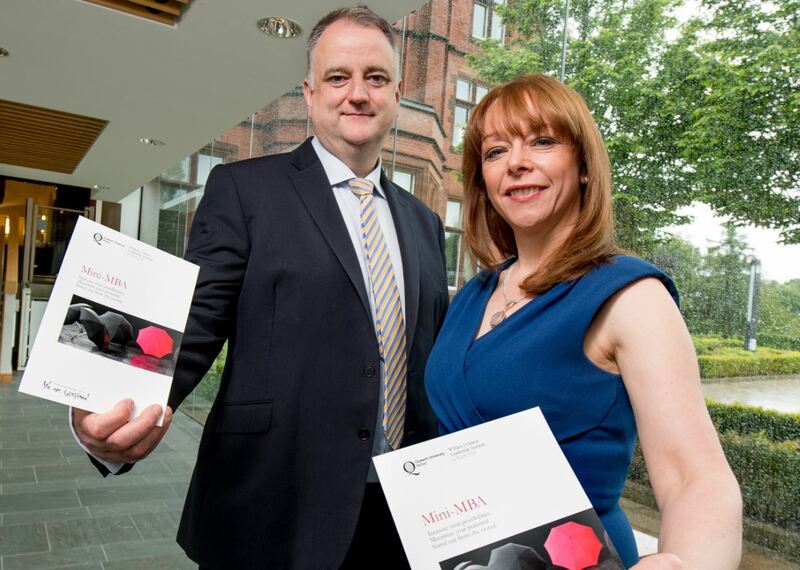 Queen’s University is to host its specialist Mini MBA programme for the second year running, giving participants an exclusive insight into today’s modern business world and a chance to stand out from the crowd. Designed and delivered by the William J Clinton Leadership Institute at Queen's and sponsored by Allstate NI, the five-day programme delivers an extensive grounding in the essentials of management and leadership in business. The popular course will also give participants an understanding of what to expect and how to maximise impact, as well as opportunities to network with global leaders in the business community. Anne Clydesdale, Director of the Institute, said: “The William J Clinton Leadership Institute brings together leading academics and industry experts to deliver world-class executive education and leadership programmes. Due to the success and demand for the Mini MBA last year, we have added it to our range of programmes again this year. The William J Clinton Leadership Institute (which is part of Queen’s Management School) is running two Mini MBA programmes this academic year. The first commenced this week (15 May 2017) will be followed by a second starting on Monday 17 July. The intensive programme is ideal for participants looking to fast-track their career and accentuate their skills in business. A number of places are still available for the July programme. Queen's Management School is one of the top business schools in the UK and Ireland and prides itself on offering a world-class range of undergraduate and postgraduate degree programmes in Accounting, Economics, Finance and Management. A globally renowned centre of management education and research, it enjoys close links with the business community, a dedicated placement office and a financial trading room. To discuss the programme in detail email leadershipinstitute@qub.ac.uk, contact the Institute on: +tel 44 (0)28 9097 4394 or click Mini MBA Programme. Media inquiries to Zara McBrearty at Queen’s Communications Office, tel: +44 (0)28 9097 3259.